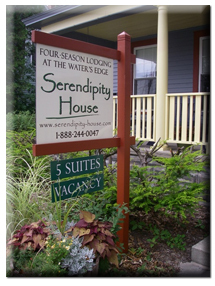 SERENDIPITY HOUSE is situated at 215 Main Street, Frankfort, Michigan, 49635 at the west end of downtown and a half-block east of the Lake Michigan beach. 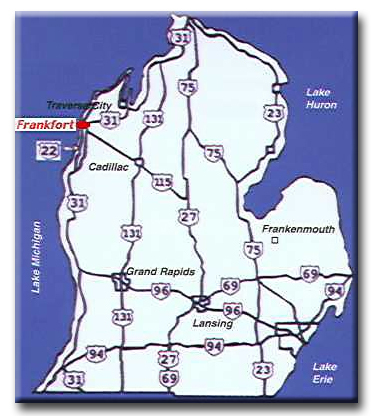 Frankfort itself is situated in Benzie County and is located at the intersection of M-22 and the end of M-115 Hwy. 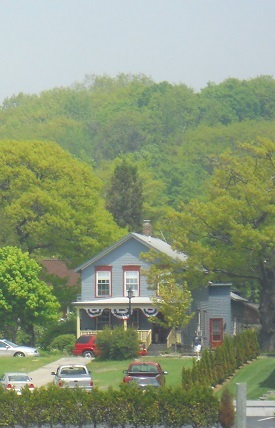 It is also accessible via US 31 Hwy.